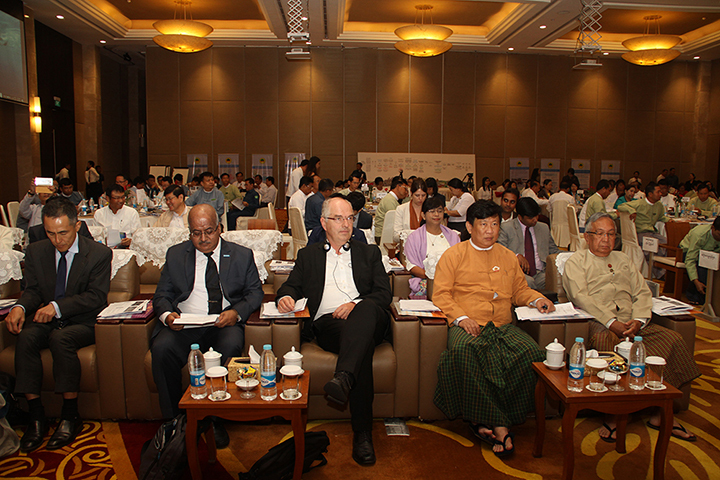 Nay Pyi Taw, 4 June 2018 – The consultation workshop on 4th June 2018 at Thingaha Hotel in Nay Pyi Taw was attended by Union Construction Minister U Han Zaw, high representatives from Nay Pyi Taw Council and from the fourteen States and Regions, Directors General, Deputy Directors General from DUHD, representatives from ADB, OECD and SKL, and Urban Specialists from UN-Habitat HQ – Regional and Metropolitan Planning Unit. The presentation from Deputy Director General of DUHD, Daw Aye Aye Myint, focused on an overview of NUP-Framework and the workshop’s objective. 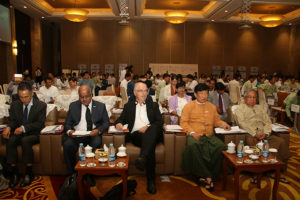 Dr. Ulrich Graute, an Urban Specialist from UN-Habitat HQ – Regional and Metropolitan Planning Unit, presented “Urbanization and NUP” and Mr. Bijay Karmacharya, Country Programme Manager of UN-Habitat Myanmar, talked on ‘Urban Issues in Myanmar’. 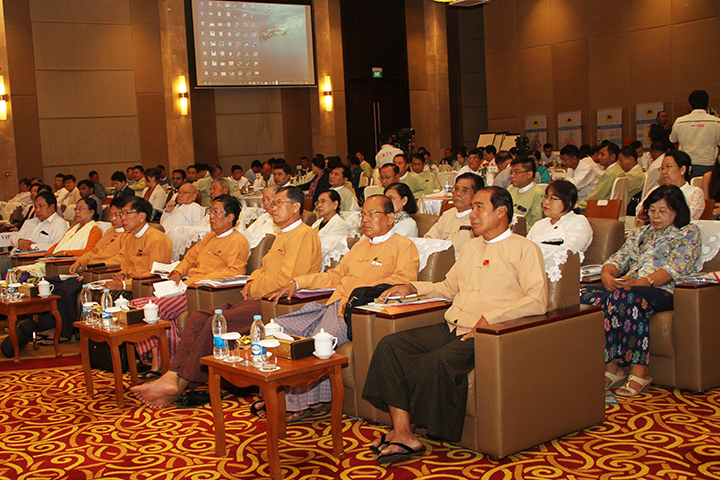 The presentations were followed by active group discussions for validation of priority areas of the NUP-Framework. UN-Habitat in partnership with the Department of Urban and Housing Development (DUHD), with the financial support of the Republic of Korea, held a consultation workshop to discuss the NUP-Framework and to validate the priority areas of action developed in the framework. The priority areas cover five thematic areas; municipal governance and finance, urban and regional legislation, land governance, housing and environmental and climate change issues. The initiation of National Urban Policy Development in Myanmar started in December 2014 with the preparation of the National Urban Policy Note that outlines broad themes and topics to be addressed by a National Urban Policy. 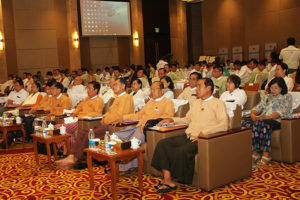 Ministry of Construction with the technical assistance from UN-Habitat then produced the Rapid Urban Diagnostic Report, Myanmar (RUDRMYA) which was finalized in February 2016 in consultation with senior advisors and officials at the Department of Urban and Housing Development (DUHD) of the Ministry. 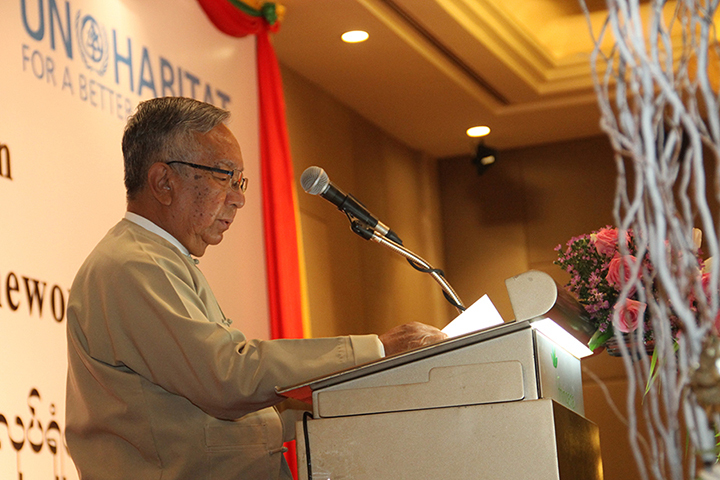 Development of a National Urban Policy attained a national developmental priority in Myanmar after the approval of the New Urban Agenda at Habitat III in Quito, October 2016. 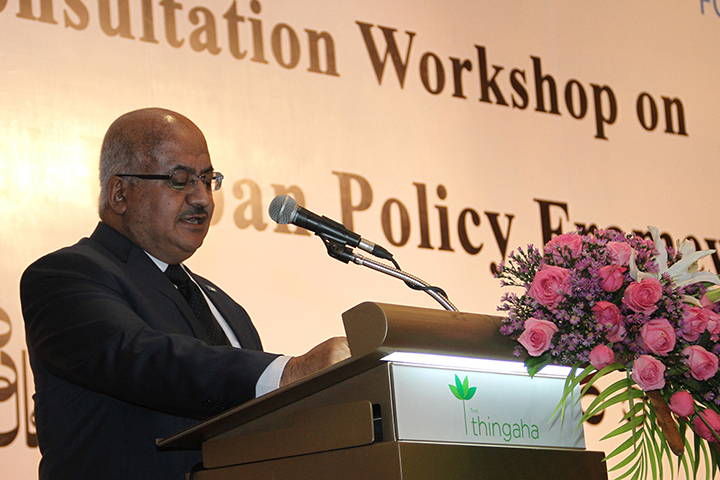 The Ministry took forward the process of policy development based on the findings of RUDRMYA. 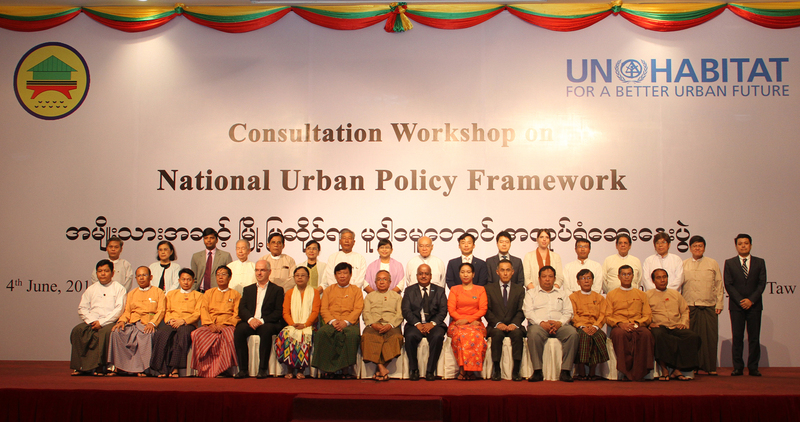 The third main step towards the National Urban Policy, a National Urban Policy Framework (NUP-F), was completed in early 2017. Therefore, the NUP-Framework offers an outline and an entry point for consultative policy dialogues and discussions vertically with sub-national entities (State and Region Governments) and horizontally with the relevant line Ministries as well as stakeholders in civil society and development partners in the urban sector.